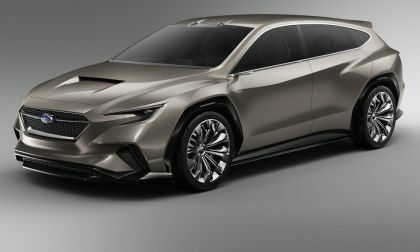 Subaru will build the new Ascent on its new Global Platform and it will be powered by a new 2.4-liter twin-scroll turbocharged four-cylinder boxer engine producing 260hp and 277 lb. ft of torque. The Ascent 2.4-liter twin turbo four cylinder is their new-generation boxer engine developed specifically for this vehicle and likely won’t power any of their other models. Other features include standard EyeSight driver assist technology, standard X-Mode and 8.7 inches of ground clearance, and the Ascent comes with 5000 lb. towing capacity. It comes with 72.6 cubic feet of cargo carrying ability, 4G LTE Wi-Fi, 8 available USB ports, heated and ventilated front seats, rear-seat climate control and 2nd and 3rd row sunshades. 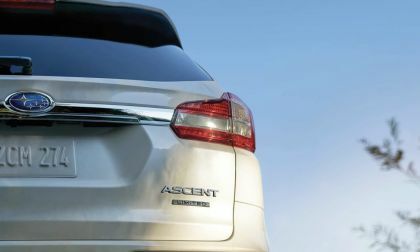 Ascent is built at its Subaru plant in Lafayette, Indiana and it will only be sold in North America. It's the largest vehicle the brand has ever built. Subaru made the largest vehicle ever to reach three goals. Did they succeed? When it comes to scoring the best family cars just ask Parents’ magazine. They give you the short list but let you choose which one is best for your family. 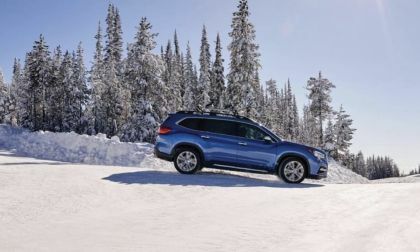 Subaru Ascent Shines As Rocky Mountain Automotive Press "SUV Of The Year"
The all-new Subaru Ascent makes the climb to stardom in the Rocky Mountains. 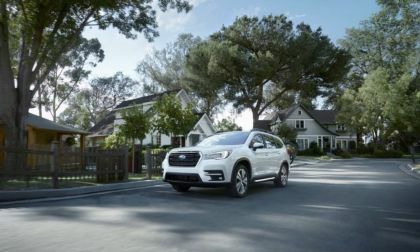 Read more about Subaru Ascent Shines As Rocky Mountain Automotive Press "SUV Of The Year"
But the all-new 2019 Subaru Ascent shines in one important category for families. Remember when Subaru interiors were the worst? 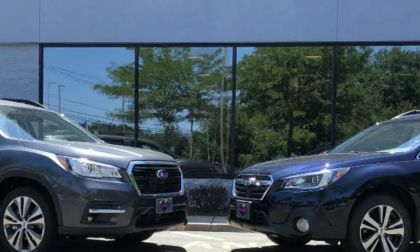 Did Subaru Make The Right Decision To Bring Ascent 3-Row? 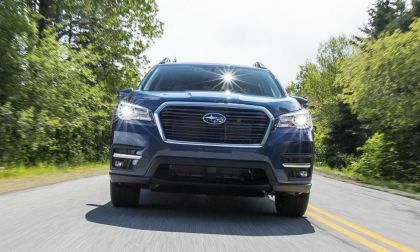 Subaru made the decision to ax Tribeca and bring the new Ascent 3-Row to North America. Was it the right decision? Read more about Did Subaru Make The Right Decision To Bring Ascent 3-Row? The Subaru Ascent is flying off dealers’ lots. See why the Ascent and Crosstrek are the top 4 quickest-selling cars in America. 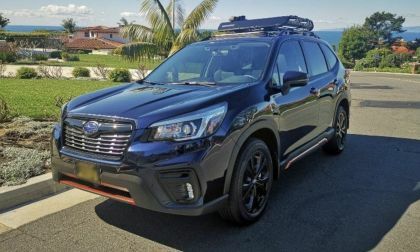 The New 2019 Subaru Forester and Ascent family hauler stack up well against larger competitors. See where Kelly Blue Book ranks them in the Best Family Cars of 2019. 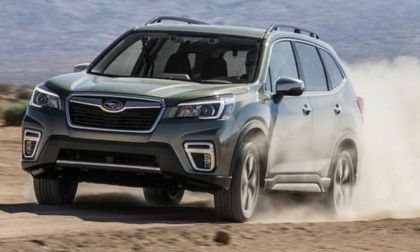 Subaru Forester and Ascent SUVs keep racking up “Best Car” awards. See why Consumer Reports says they are both Top-10 Best SUV for consumers. 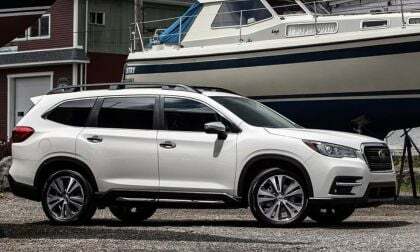 What Will A 23-Year Old Do With Subaru Ascent Family Hauler? 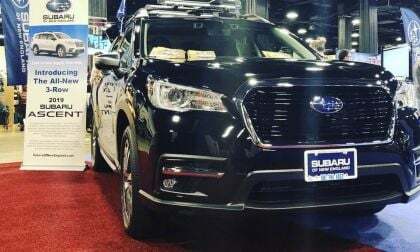 Subaru announced the winner of the REI Sweepstakes for a new Subaru Ascent. See who won the new family hauler. Read more about What Will A 23-Year Old Do With Subaru Ascent Family Hauler? Ascent family hauler has launched Subaru off the pad and into orbit. See how the brand made a meteoric rise to #1 in Consumer Reports Best Car Brands. Tribeca was a bust, but the all-new Subaru Ascent is a hit. 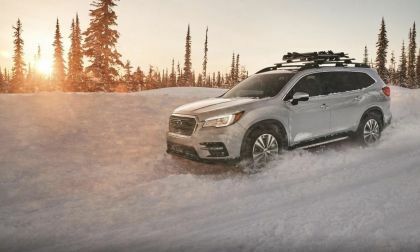 See what the Midwest Automotive Media Association says about the largest vehicle Subaru has ever produced. 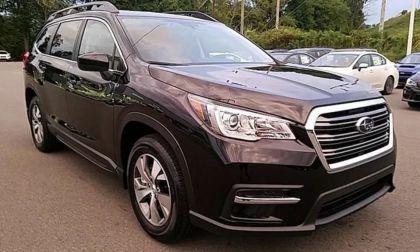 Subaru Ascent; Is Its Small 2.4L Engine Big Enough To Haul Your Family? 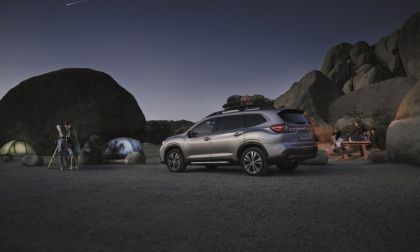 The all-new 2019 Subaru Ascent is powered by a small 2.4-liter engine. Is it big enough to haul your family? 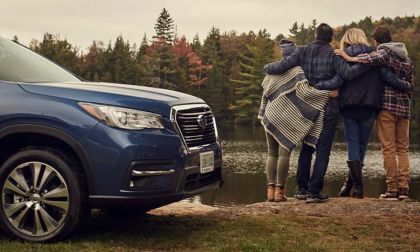 Read more about Subaru Ascent; Is Its Small 2.4L Engine Big Enough To Haul Your Family? Subaru looks to their past to plan out their future. What will customers be driving soon? 2018 was a big year for Subaru. 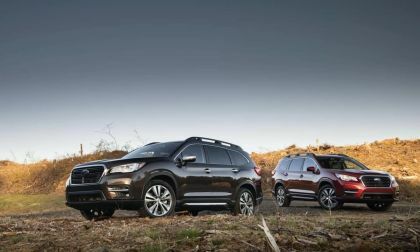 They brought out a new 2019 Ascent family hauler and the new-generation 2019 Forester. But it wasn't all good. See what surprising recall and lawsuit stories led the news this past year. New Subaru Ascent 6-Month Review; Has It Lived Up To Expectations? The all-new Subaru Ascent has reached its six month anniversary. How is the new 3-Row family hauler doing? 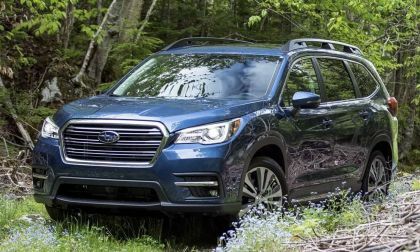 Read more about New Subaru Ascent 6-Month Review; Has It Lived Up To Expectations? 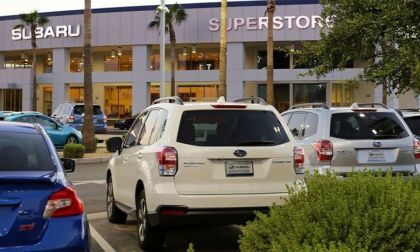 Can you find any good Black Friday deals on a new Subaru Ascent, Forester, Outback or Crosstrek? There are some surprisingly good deals for consumers. 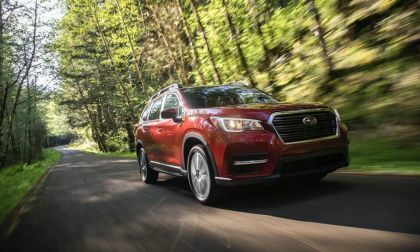 The new 2019 Subaru Ascent family hauler is keeping the brand’s production afloat. Where would Subaru be without it? 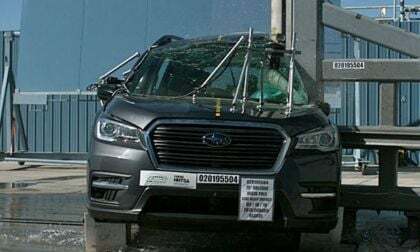 The 2019 Subaru Ascent gets rated by the NHTSA. See why it gets more top safety ratings. Subaru sells their one-millionth vehicle equipped with EyeSight safety assist system. What does it mean for consumers? The all-new Subaru Ascent helps deliver another record month for the Japanese automaker. See what popular Subaru nameplates were down in sales. Should You Buy Subaru Ascent or Wait For The Bigger New-Generation Outback? 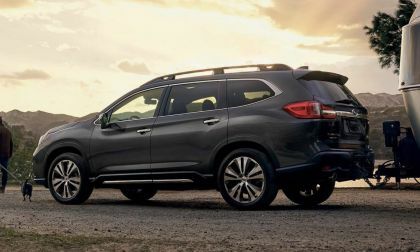 Many consumers want a larger SUV, but the new 2019 Subaru Ascent may be bigger than you need. Should you wait for the new-generation Outback? 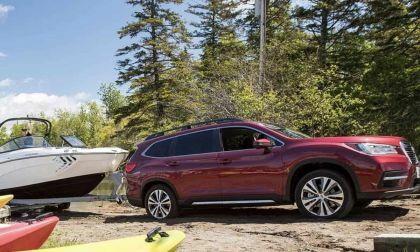 Read more about Should You Buy Subaru Ascent or Wait For The Bigger New-Generation Outback? 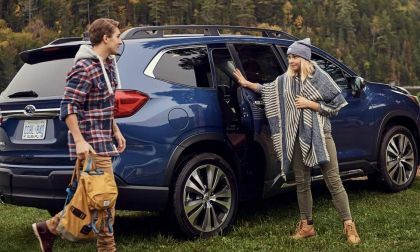 The all-new 2019 Subaru Ascent family hauler gets the nod for Wards Auto 10 Best UX competition. See 15 features giving consumers a user-friendly experience. 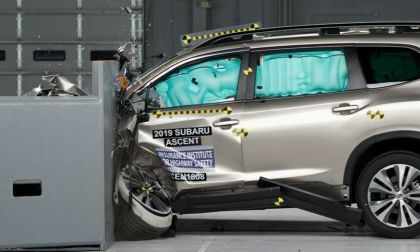 New 2019 Subaru Ascent was awarded Top Safety Pick+ (TSP+) designation from IIHS. It should be no surprise, right? 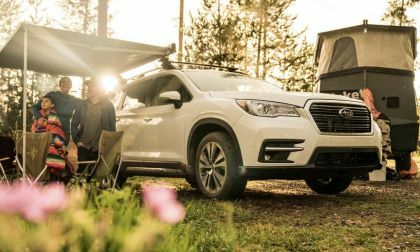 Subaru infused the all-new 2019 Ascent 3-Row with the brand’s DNA. Will 3 core values make it fun? 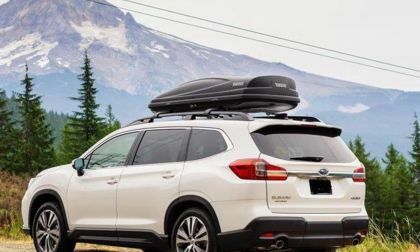 Subaru Corp fixed five Tribeca problem areas with the all-new 2019 Ascent family hauler. Here are the five areas where Tribeca failed. 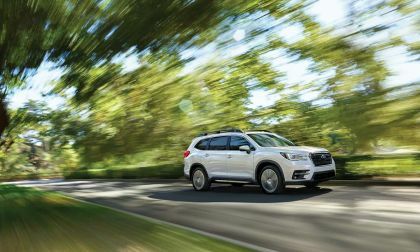 The all-new Subaru Ascent is the 3-Row families wanted, it helps deliver the best month ever in the U.S. See what other two nameplates helped the brand. 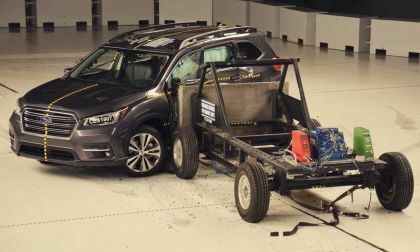 The new 2019 Subaru Ascent gets hit hard in the IIHS side impact crash test. How will the new family hauler perform when the results are released? 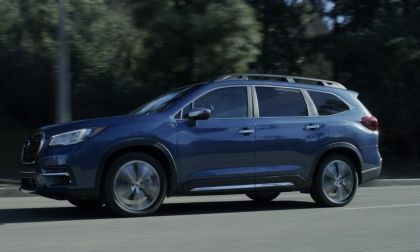 See how Subaru encourages families to think out-of-the-box with new Ascent 3-Row. Parents Can Set Boundary, Speed, Curfew Alerts on New Subaru; Really, Dad? 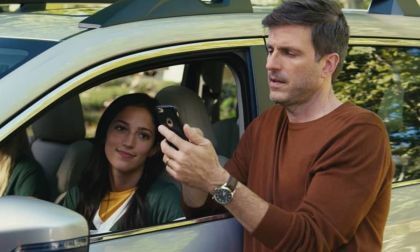 Parents can now set boundary, speed and curfew alerts on the new 2019 Subaru Ascent, Forester, Crosstrek, and Impreza. Really, dad?!? Read more about Parents Can Set Boundary, Speed, Curfew Alerts on New Subaru; Really, Dad?